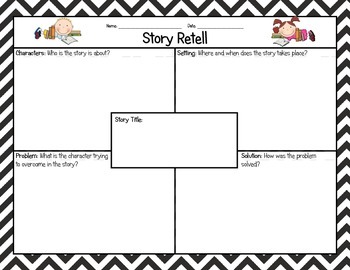 This is a simple graphic organizer to help students retell a story they've listened to, partner or buddy read, or read independently. This can be use in whole group, small group, or in a literacy center. My students have to complete this before taking an accelerated reader (AR) test.